You must be a member of the Dubai Meditation & Celebrations Group to attend this activity. Would you like to join this group? 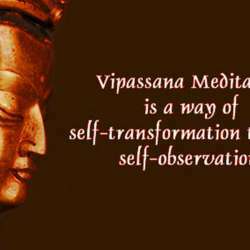 Friends, We invite you for the most basic and essential Vipassana Meditation on Sunday 20th January Protected content to 9 pm. During this session we practise various forms and techniques which can be used for Vipassana Meditation. These can be easily be practised at home for mindfulness, centering, and stress reduction, emotional release, relaxation and most importantly self awareness.